Complete the Circle is an album whose theme is socio-political-addressing issues of our times from both a serious perspective as in "Boy With the Fife"-a timeless ballad driven by a lonely classical guitar to "Yeah, Yeah (Politician) Blues-a tongue in cheek semi-Dixieland tune with a wild soprano sax-aka the great Dave Streeter. "Imagine" started with a thought as does "The Time Has Come"-a reggae/jazz fusion jam that lasts close to 10 minutes. "Prophets and Sages"-a song full of intriguing shifts and an the ending-Stephanie Gross's vocals soar-that is mystical. Brace yourself for the rocker "Turn the Night into Day"-the horns and lead guitar will bring you out of your seat. "Roll Like A River"-is about faith in the people of this country. And lastly, "Complete the Circle"-"let your love set you free-come together-right now"-starts out mellow but builds in tempo to a jazz/rock crescendo. Hope you enjoy. 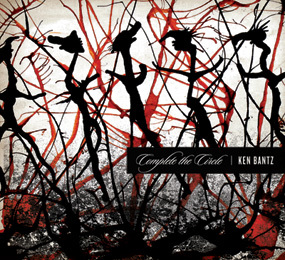 The music on "Complete the Circle" is complimented by the exceptional cover art of Thomas Abbott and lay-out/graphic design of the award winning Matt Kelley of One Lucky Guitar. Enjoy.